Indigenous groups in Canada are preparing bids to buy the Trans Mountain pipeline from the federal government, but Finance Minister Bill Morneau says talks on selling are premature and that it's unlikely the pipeline will be sold before the next election. The federal government is likely to own the Trans Mountain pipeline until the political risks facing the project are safely past — certainly until after the coming election, Finance Minister Bill Morneau told CBC News. Meanwhile, Indigenous groups in Canada say they are serious about buying the pipeline and they want Ottawa to start getting serious about it too. "We still need some love from the minister of finance, but I'm certain we'll get it through co-operation and communication," said Chief Mike LeBourdais in an interview airing Saturday on CBC Radio's The House. "If you want to talk truth and reconciliation, I mean, this is a good way to start that thing." Morneau has made no secret of the government's plan to be a pipeline owner only in the short term. At the time of the Liberal government's purchase, Morneau said the government would work with investors to transfer the project to new ownership at an appropriate time. In a separate interview airing on The House on Saturday, the finance minister said that time hasn't arrived yet. "We're going to remain open to talking to Indigenous peoples ... but it's not time yet where we can conclude on them." Morneau said the immediate focus for Ottawa is on addressing the Federal Court of Appeal's ruling in August that halted the project. The court said Canada had not adequately consulted First Nations and that the National Energy Board's review didn't address the potential impact of the pipeline on marine life. "We need to deal with the Federal Court of Appeal decision, and then think about the long term," Morneau said. LeBourdais said Morneau seemed taken aback when he was approached back in June by the First Nation over their interest in buying the pipeline. "He was kind of surprised that we put this idea together and presented it to him so quickly," LeBourdais told host Chris Hall. 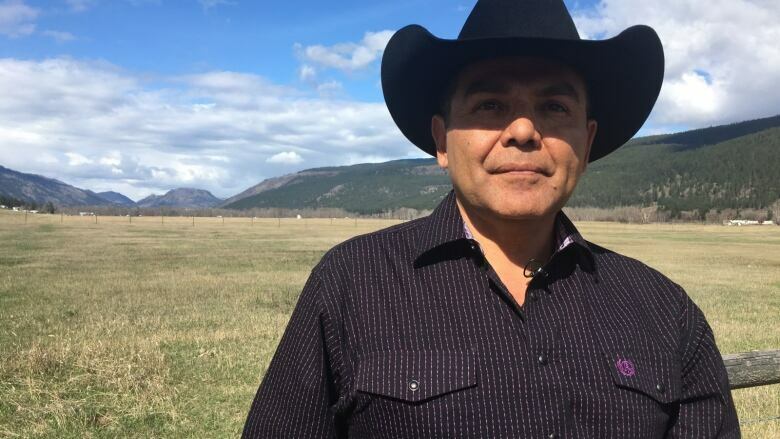 LeBourdais, who heads the Whispering Pines First Nation north of Kamloops, B.C., said his community has met with banks, industry and other potential equity partners, and it's prepared to make a pitch for a 51 per cent share of the pipeline, which the federal government purchased in April 2018 for $4.5 billion. If LeBourdais is moving fast, it's because he's not the only one interested in a piece of the pipeline. Other Indigenous groups also have discussed buying into the project, including the Indian Resource Council of Canada representing 134 member First Nations, which met with its membership this week in Calgary to discuss possible ownership models. There's also Project Reconciliation, a new company in Saskatchewan created by former Thunderchild First Nation Chief Delbert Wapass to put a bid forward. The various groups aren't necessarily competing for a slice of the energy project, but LeBourdais made it clear that his community and those along the proposed expansion pipeline route need to be a part of any future deal between Ottawa and Indigenous peoples. "We're not opposed to the [Indian Resource Council] buying a piece of it, but if they think they're going to purchase it without our co-operation that's probably a non-starter," he said. "They're going to have to come and talk to us. There's 45 First Nations along the pipeline that have yet to hear from the Indian Resource Council. What we would like to do is include them in our bid. Now we need to have that conversation." Those looking to buy in will need to collaborate, said LeBourdais. Not only is the pricetag for the pipeline and related infrastructure a steep $4.5 billion, constructing the expansion itself from Edmonton to Burnaby, B.C. could cost more than $7 billion. "We're not under any illusion that we're going to pay the whole $4.5 billion," he said. "First Nations don't have that kind of cash. What we're getting are partners to put that money up and to get that 51 per cent stake in this pipeline. "In an ideal situation, we would like British Columbia, Alberta and maybe a bit of Canada [as partners], and a lot of private money in this as well." LeBourdais said one of the chief factors motivating his community's interest in the pipeline is the opportunity for environmental oversight. Concerns over adequate consultation with Indigenous peoples, as well as the potential impact on the marine environment, stalled the project last year. LeBourdais said he sees Indigenous ownership as a solution to both concerns. "[Protecting] waterways and moose and deer fawning grounds are things that are of importance to the First Nations along the line," he said. "The second concern First Nations have is that they don't have any money to do that kind of [environmental] monitoring. Having a piece of the pipeline would address both of those things." For now, LeBourdais said he is working on a bid to put to the federal government in the coming months. "I'd like to have the i's dotted and t's crossed in late May, and have it in front of the [finance] minister shortly thereafter so they can chew on it over the summer and get to some kind of decision in the fall," he said. That timeline would land the decision in the middle of a federal election campaign. LeBourdais said he isn't concerned the timing could interfere with his plans. "Thankfully [it's an election year] because if there was no election they probably wouldn't pay attention to us," he said. "I believe in what we're trying to accomplish, and I think it makes a lot of sense for First Nations, it makes a lot of sense for Canada, and I think it will be good for both of us." Morneau agreed that having a stake in the pipeline could be positive for Indigneous communities. "The project can be advantageous for those groups, it can be advantageous for them to be engaged from the standpoint of the long term of the pipeline, and it can also be advantageous for Canadians," he said. However, he said he doesn't share LeBourdais' optimism about getting anything settled before the fall election. "I think it would be difficult for me to imagine a scenario where we can deal with [the court decision] appropriately and at the same time be considering a change in the ownership," Morneau said. "So that process, by definition, likely takes us past the next election."